I think Benjamin’s comment really encapsulates what going back to University is all about. Sure, the research outcomes are also important, but the rapidity of Information Technology development means that IT education must encompass more than just individual technologies. The lasting benefit is the foundational skills and professional development which Benjamin will retain for the rest of his life. See below for more details about Benjamin’s research. What Are The Industry’s Hottest Topics? 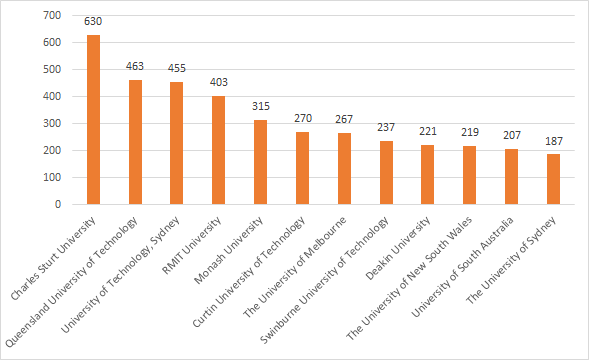 2010 was the first year that CSU achieved market leadership in the number of Aussie IT professionals studying for IT related Master’s Degrees. Since 2010, we have steadily increased the gap between us and our nearest competitor and the latest figures from the Department of Education, Employment and Workplace Relations show that CSU now has 36% more students than our nearest competitor. Our main source of new students is referrals from our Alumni and we would like to thank them for their support. Charles Sturt University Doctor of Information Technology student, Benjamin Davis, says the world is drowning in data and he wants to find better ways to make sense of it all. His research aims to develop a model in which traditional database approaches and the cloud can communicate together to provide large-scale data analytical capabilities for the modern enterprise. “The study will evaluate a range of algorithms that can be used within cloud analytics, understand where cloud environments need to develop further to support cloud analytics, and develop methods to utilise cloud analytics for real-word applications,” he says. Over the last 18 months we have been running a series of free short courses to give prospective students a taster of what it is like to study a Master’s Degree at CSU via distance. Enrolments in the Short Courses are a guide to what are the hot topics and the response so far has been great. It is no surprise that Cyber Security is the hottest of topics and this is also reflected in our Master of Information Systems Security where enrolments have doubled in the last year. The Cisco CCNA Security short course started on the 18th of August but you can still enrol and catch up by viewing a recording of the first week’s Lecture. You can also enrol in past short courses and complete them by viewing recordings of the Lectures at our Free Short Courses page. The term “Money back guarantee” is used pretty freely but the reality of actually getting your money back can be challenging. Thanks to Australian Government regulation, getting money back at Australian Universities is not an issue because, provided you are an Australian Citizen you are covered by the Census Date whereby you can withdraw from subjects up to four weeks after it starts and receive a refund of your fees (or if you used FEE-HELP have your loan cancelled). If you are considering doing your Masters but are unsure how you will cope with the workload, keep Census in mind because it will allow you to withdraw from a subject and do it later or withdraw from the Masters and get your money back. And a final word on taking the plunge and starting your Master’s Degree – if you never start you will never finish! TechEd is Microsoft’s ultimate technology geek-fest for IT Professionals and Enterprise Developers. After many years at the Gold Coast, TechEd 2014 will be kicking off in Melbourne on the 7th and 8th of October before moving to Sydney on the 27th and 29th of October. 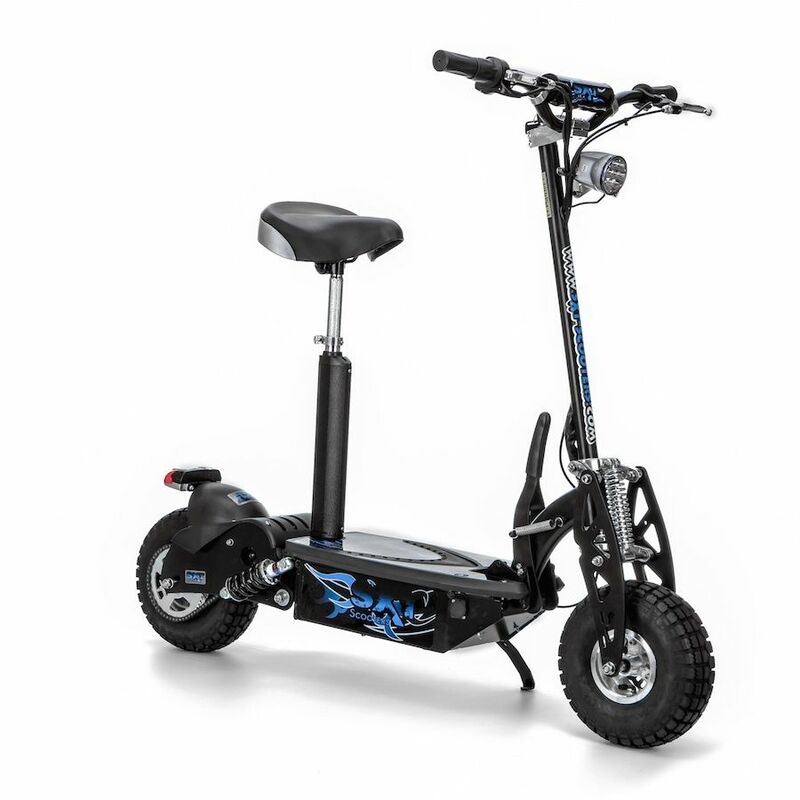 We will have a booth at both venues so please drop by to say hello and go in the raffle to win a 1000W All Terrain Scooter which we will be giving away at both venues! Many IT professionals started an IT degree after finishing school but did not finish the degree because they got a job in the industry. The normal requirement to do a Master’s Degree is an Undergraduate (Bachelor) Degree but with relevant work experience you can undertake your Master’s through our Graduate Certificate pathway. Once you complete your Graduate Certificate, you can take the subjects you completed in the Graduate Certificate and them into the corresponding Master’s Degree, obtaining both certifications without additional study. Sound too good to be true? Details are available at The Graduate Certificate Pathway Explained. We award credit for a range of IT certifications from relevant certification programs offered by Cisco, Microsoft, Oracle, the Project Management Institute, the EC Council, and a number of other certification programs. Spend five minutes filling our Eligibility Form and we will confirm the level of credit you will qualify for if you decide to enrol.